Asus has launched new voice calling tablet in India named as Asus Fonepad 7 (FE170CG) for Rs. 8,999. The device was showcased at the Zenfone launch event in India last month (July). Recently same size tablet dubbed as iBall Slide 3G Q7271-IPS20 goes on sale in India for Rs. 8,303. 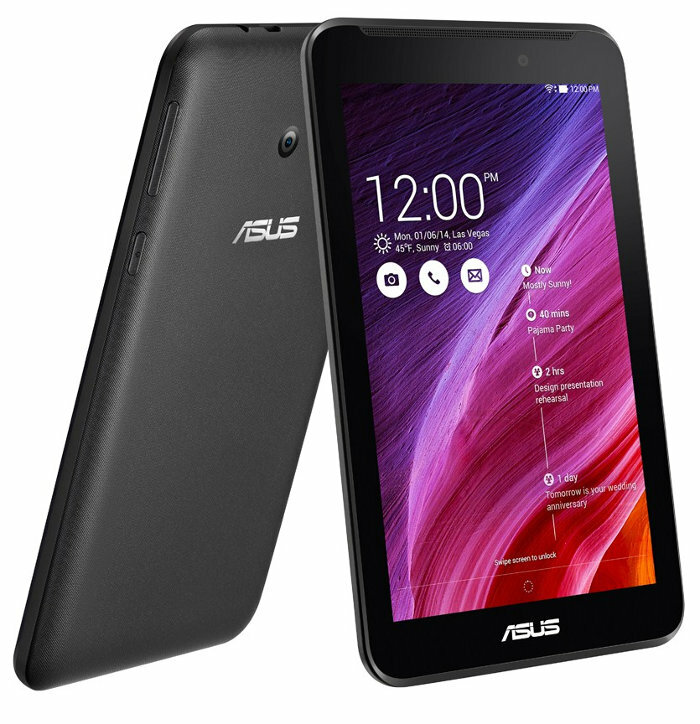 The Asus Fonepad 7 (FE170CG) features a 7-inch display with 1024 x 600 pixels resolutions and has dual SIM support with dual standby. The device is powered with Dual-Core processor clocking at 1.2GHz with PowerVR SGX544 GPU. The device has 10.7 mm of thickness and weighs 290 grams. There is 3950 mAh decent battery on the back to power the device. The Asus Fonepad 7 (FE170CG) android tablet comes in Black, White and Blue colors options with price tag of Rs. 8,999.